The University of Miami College of Engineering is currently participating in the Cadence University Program. This program offers the faculty a complete software package for analog and digital circuit design. This software provides all the needed tools for our students to succeed in our Engineering programs. 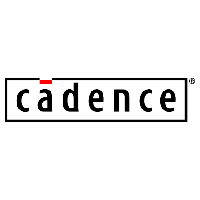 Cadence is a registered trademark of Cadence Design Systems, Inc., 2655 Seely Avenue, San Jose, CA 95134. This page was last updated August 9, 2018. University of Miami College of Engineering: Cadence software can be only accessed on the College of Engineering server located on the Gables campus. The use of Cadence software and licenses off campus is prohibited. University of Miami College of Engineering: Please contact Shihab Asfour at sasfour@miami.edu or (305) 284-2367, or Khaled Abdel Rahman Zakaria at kzakaria@miami.edu or (305) 284-8184 to obtain access to the Cadence software.